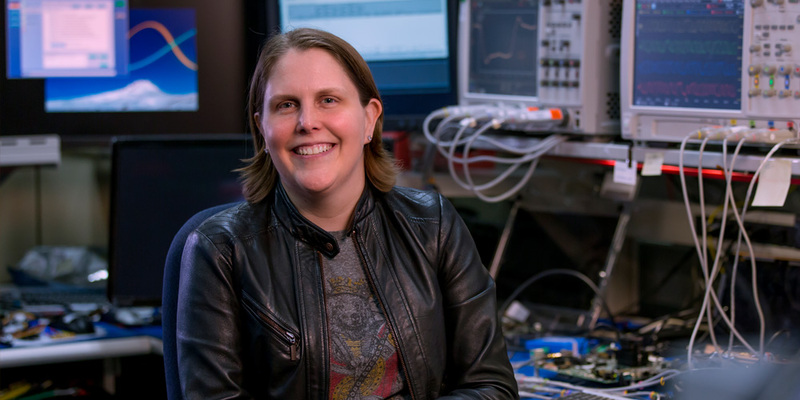 For Intel’s technical employees, securing an Intel Fellow title comes after decades of racking up notable achievements in their field. It’s an elite group: Only 101 employees have reached Intel’s top technical rung. 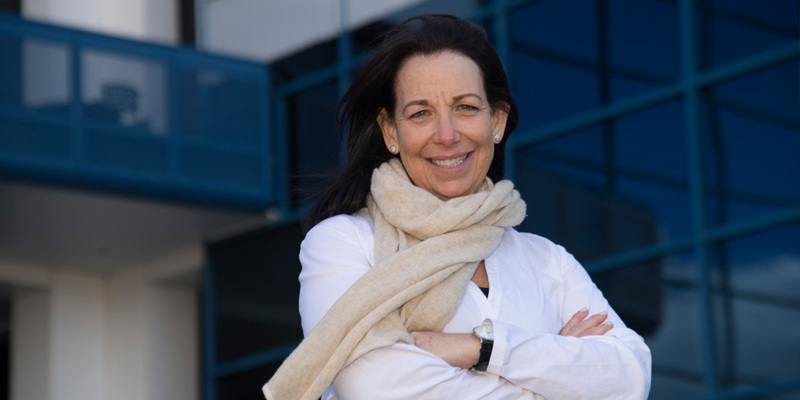 For International Women’s Day — March 8 — meet Intel’s three newest female Fellows, all promoted in February. Debra Goldfarb, Becky Loop and Britt Turkot talk about their most important projects, inspiring other women to grow tech careers and what it means to be named an Intel Fellow. If you were a general in the military you would get an intelligence report every day describing risks, actions and changes in the external environment. The market intelligence organization has a similar mission. Our team senses, models and analyzes the external world, and then translates and contextualizes those insights for business units to enable data-driven decisions. What’s a big project you’re working on today? We do a lot of work on artificial intelligence (AI). We try to understand what is real versus hype, who is leading versus lagging and where the competition is gaining traction. AI is still in the early market stages — algorithms and underlying technologies are still evolving. We’ve been looking at enterprise adoption, particularly the workloads that will drive AI through and across enterprise workflows. This is a particularly interesting and complex space and the big transition will be when AI is integrated into existing business logic. How did you get into market intelligence? But then I couldn’t get a job because all of a sudden it was a lot harder to enter China. I finally saw an ad for a job at the International Data Corp. as a sales rep. After six months of that job, I said “Get me out of here” and saw an opportunity to start IDC’s high-performance computing research practice. I knew a little about supercomputers from my grad school days; so I figured if I can learn Chinese, I can learn anything. Why do you care so much about market intelligence? From my perspective, all decisions should be data-driven decisions. How do we make sure we have the right insights, data and analysis to drive the right outcomes? This is where market intelligence is critical. That’s what motivates me. On a personal level, I’ve always been fascinated by markets and market behavior, particularly when things seem a bit asymmetric. I’ve come to understand this is when disruptions are likely to occur. Understanding these dynamics is fundamental to our long-term success. Has it been hard to be a woman in tech? Yes, it has. I’ve been in tech for over 30 years; it’s been an interesting journey. That old proverbial saying “you have to work twice as hard and show up twice as much” is really true. I worked both my maternity leaves. There were people who wanted what I had created. I knew it. So what did I do? I literally took my 6-week-old baby to focus groups because I knew that if I blinked, I’d be compromised. That’s the million-dollar question. First, we need to acknowledge the complexity of what we’re trying to change — it’s an issue that is so deeply rooted in our social, political and economic structures that we cannot change it overnight. At Intel, and at many other companies, there’s an underlying tone that it’s a zero-sum game — if I win, someone else loses. I don’t believe that at all. For women, there are both explicit and implicit biases, which range from “women don’t belong” to “women aren’t good enough” to “women are taking my job.” It’s a complex and tangled issue. But the data is incontrovertible: Diversity makes companies stronger. Perhaps we should ask our community to find solutions to engender broader support and build accountability from the bottom up. Maybe that would create sustainable change. I work on the memory of a client platform. If you think of the way a brain works, it is the short-term memory that gets either erased or moved to long-term memory in your brain when you fall asleep. Why do you love this field? I’m never bored – always learning. A recent college grad recently asked me why I would stay at Intel for 21 years and I said, “You really can have multiple careers in one company. You keep the same badge, you keep the same address, and you can jump around.” I’ve done everything from motherboard design to signal integrity to validation, and now I’m in architecture. I help develop new DRAM technologies in the industry, across signaling, architecture, power and platform development, as well as developing new memory hierarchies that take advantage of Intel’s new 3D xPoint technology. I come from a very humble beginning. I was raised by a single mom in the orange groves of Florida and I always wanted to be an engineer. My dad was an electrical engineer. My mom got mad at me one time because I took apart her answering machine and broke it. For Christmas she gave me this kit to build your own. I was always the kid playing with things and trying to figure out how they worked. What does it mean for you to become a Fellow? I think just showing other women that there is a path to get there. When I came to Intel, there wasn’t a single female Fellow. It was a question: Is that even attainable? Is it something you can think about? Then when Kelin Kuhn and Genevieve Bell became Fellows, I would look at these amazing women and think, yes, it’s something that I can aspire to. But the part that I still struggled with was I didn’t see any female Fellows who had children or families at home. At the time my children were very young so it was one of those things of, “Do I have to give up that personal life to get there?” I hope that other women can now see that it can be done — you can be married with children — and you can do all of it at once. Tell me about the work you’re doing to mentor future women Fellows. I think it’s important as a senior leader that you are not closing the door behind you as you get these new titles, and are bringing up everyone behind you. Nobody makes it to Fellow or to PE without a village that’s helping you get there. So, I think it’s actually something that is required of you — to build that community up behind you. How would you describe what you do to people at a dinner party? The miniscule features in today’s microprocessors are defined using a technique called photolithography, in which light passes through or reflects from a photomask that acts as a template of the pattern to be transferred to the wafer. A large and incredibly precise — on the order of nanometers — piece of equipment directs this light and scans it across a small portion of a target wafer, which is coated with a photosensitive film. This process is stepped-and-repeated, resulting in a fully patterned wafer. 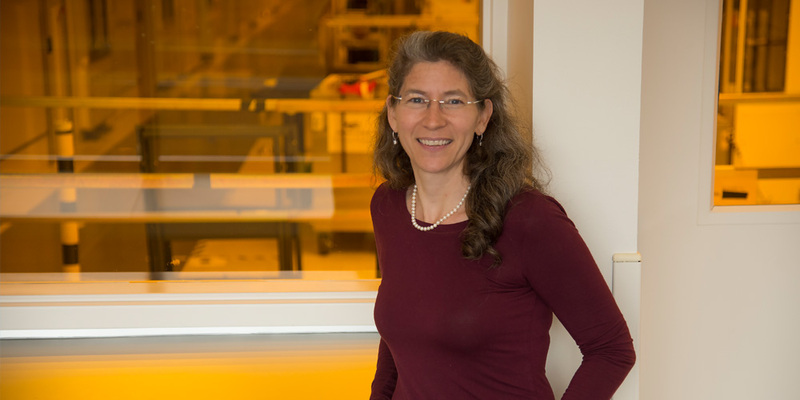 My role in making EUV lithography a reality at Intel is to drive internal and external research and development into this new technology with the ultimate goal to make EUV lithography viable for Intel manufacturing at the earliest possible process node. Were you always interested in engineering? In sixth grade I told my teacher that I was going to be a nuclear physicist. I ended up studying materials science. I’ve always loved science. But I think more importantly, I’ve always wondered why. So asking why, I think, is a big piece of where you end up. The more you ask why, the more you understand, the more you can become an expert in something. How do you connect with other technical women in your group? Our department’s grown significantly. The scope has just ballooned, and the people needed to support that has increased considerably. But there are still so few of us women that I felt like we should all know each other. So I started this group called Litho Women of the Fab. One time we did Zumba classes; we’ve done cookie exchanges, pumpkin decorating, bread and soup day. So I just bring the women together after work at my house, and kids are invited; it’s just totally informal. Kind of just get to know one another, a chance to connect. There have been some really good outcomes. People have gone after roles within litho that they really didn’t feel that they should be. Having a discussion over a glass of wine is sometimes a little bit easier than sitting in a conference room. How often do you go into the fab? Not as often as I would like. The fab is where all the action is. Every wafer is run in the fab. Every piece of data comes out of the fab. So I enjoy going into the fab to see “How is this actually working?” “Where is that going to go?” “Wow, that’s where the problem is.” Our process development is second to none and that all comes out of the fab, right. That’s what has made Intel what it is today. What needs to be done to get more women interested in tech? We need to reach them at a much younger age. I’d say, fifth or sixth grade, middle school. When we go into high schools, I think it’s already too late. In terms of STEM outreach, make it fun. “Engineer” is an intangible career. How do you show them what that actually is? It’s really a matter of coming up with the right activities to make it fun at a young enough age that kids can understand it.